I recently partnered on a breakfast inspired burger with the fine folks at Umami Burger. They thought we should come up with a cocktail to go with it and this is what I’d call the “home edition” of that drink. 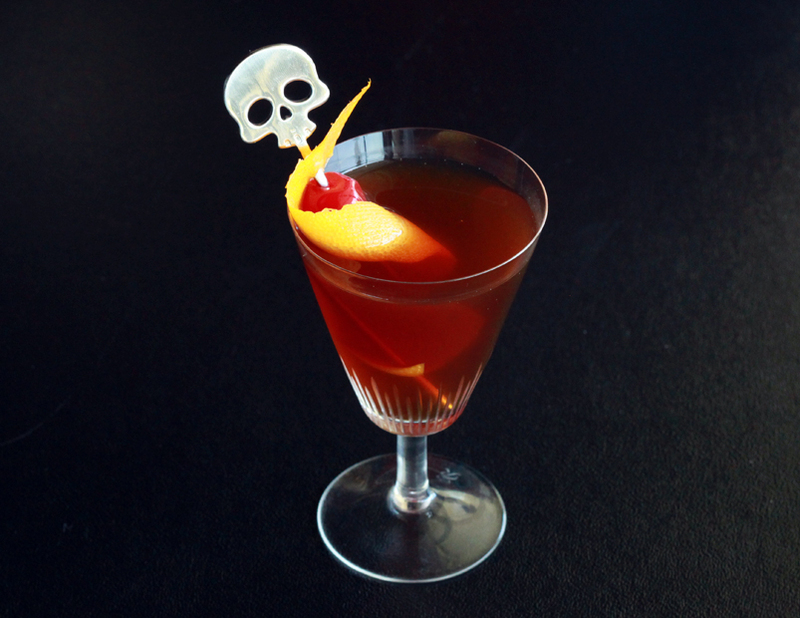 The secret is the cola syrup, which balances the medicinal funk of the Fernet Branca. This is my new favorite cocktail, a perfect balance of sweet and bitter, caffeine and ethanol. Combine the liquors, cola syrup, cold brew and bitters in a mixing glass. Add ice and stir until well chilled. Strain into a chilled martini glass and serve with maraschino cherry and the orange twist. Bring the cola to a boil in a small sauce pan over medium high heat. Add the demerara and cook until the sugar dissolves. Remove from the heat and cool completely before using. Store the syrup in an airtight container in the fridge. * Fernet Branca is a medicinal, bitter liqueur or "ammaro" and quite possibly (after Campari of course) my favorite potable fluid. And no...they don't pay me to say that. *The folks at Umami prefer Real Sugar Pepsi, but I’m from Atlanta so I’m pretty sure using anything besides Coke is against state laws. The primary concern associated with this application is the download. ShowBox is not offered on the Google Play Store. As many Android customers just use Google Play. What about real-sugar Coke? You can get it in glass bottles from Mexico and it tastes SO much better than HFCS Coke.